Coming back to the United States was a big shock for me. The second I landed in Los Angeles I knew that I was no longer immersed in the New Zealand culture I became so used to. Everyone was in a hurry, everything was automated making everything seem impersonal, everyone in my program went their own separate ways with no goodbye, the LAX employees didn’t know what they were doing, and TSA was slow as usual. I can’t say that I necessarily missed this aspect of the States but I was quickly reminded what it was like. However, that was just my experience in the LAX airport, which is a terrible airport by the way. Once I landed in New York after all of my layovers and long flights I was so relieved to be home again. Driving back from JFK at night when no one was on the road was refreshing and exciting. I had a liminal stage for a few days, as well as jet lag, but it was extremely easy adjusting back to my home culture. My parents were happy to receive my reincorporation letter mostly because they got me with it. They were touched by what I wrote and promised to help me in my reincorporation process by just treating me as the normally would. 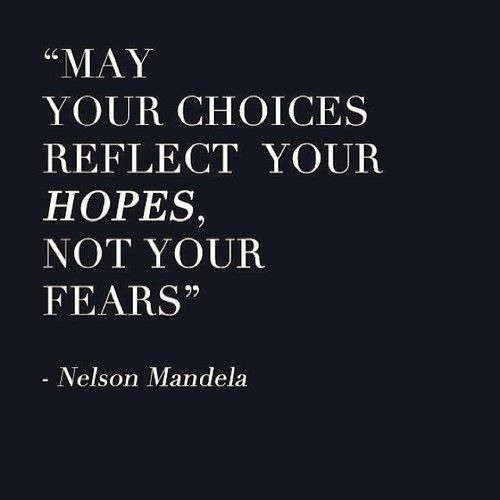 The quote I used in my reincorporation letter was by Jane Addams which reads “The good we secure for ourselves is precarious and uncertain until it is secured for all of us and incorporated into our common life.” I chose this quote because I felt it really captured what I wanted in my reincorporation process. I wanted to bring something new that I learned in my host culture and bring it into my home culture and other people’s lives. By sharing my stories and journeys with people from my home country I am being a responsible citizen as well as helping my reincorporation process. I feel that my community helped and supported me throughout my entire time abroad. They kept me in touch with my goals and who I truly am, which in turn helped me make the most out of my study abroad experience. Some “gems” I plan on bringing along with me are to disclose to people that there are certain ways to live your life and to take chances. My first gem is an important one because a lot of people believe that there is only one path for them in their life and that is certainly not the case. We are taught our entire life that we have to pick and choose a certain way we want to live and that through hard work and dedication you can achieve these goals, which is true, but what they fail to tell you is that the time you spent achieving your goals was a major portion of your life. Now it is up to that individual at that certain moment to look back and reflect on whether the ends justified the means. If it does then great, but if it doesn’t what now. I just want to make people aware of this reality because it does happen and being aboard has made me realize that there may be a lot more fields or areas I am not familiar in but may love doing. Experimenting and reflecting is a key part in finding what you love, which ties into my next “gem” of taking chances. Everyone has to take chances. They make you a stronger and more aware person when take them. They may not turn out the way you expect, but either way you learned something new. One major stream that I will have to divert is the one of laziness. During the summer if I am not working I become extremely lazy and do not want to do activities that I would normally enjoy doing. These would include hiking, biking, exercising, and socializing with friends. I know that if I do not make the effort here I will fall back into my old habit of being lazy which was non-existent in New Zealand. The quote I chose to end my final travelogue and to express how I feel about being home is from Mother Teresa “Love beings at home, and it is not how much we do…but how much love we put into that action.” I feel that this is a perfect quote to sum up how I am feeling because I do feel loved back at home and by bringing this love to other places and sharing it with other people I make another home. A home where hopefully one day I can go back to where the suns rises over the rolling hills with healthy green grass, sets over the calm ocean, and where the people are friendly and use cool sayings such as “Sweet as.” I will miss New Zealand, but my real home is right here in little village of Cold Spring, New York. I would say the biggest challenge during reintegration has been the pace of life. This has been furthered by the fact that my internship started three days after returning home, which I will go into further detail later. Slimbach’s quote puts it perfectly, “Compared to life abroad, the pace can seem oppressive, the people wasteful, the food tasteless, the culture colorless. (Slimbach 205) I was able to escape from the norm for over five months, the society that I spent the entirety of my life. I constantly opened all my senses for five months in an effort to learn and build understanding of the unique culture of Barcelona. There were five different types of garbage/recycling on every block, delicious food everywhere, and passionate individuals, especially regarding football. Another challenge has been trying to share my experience with others. In chapter 8, Slimbach notes this can be quite the challenge for a variety of reasons. I would love to take over the discussion and drone on about cultural differences and everything I have learned abroad, yet I have not done so except for with well-traveled individuals. In a group setting I tend just to share a few “cool” highlights from my trip like eating Kangaroo (the best meat I have ever had) or snowboarding in the Pyrenees. I hope to have more meaningful conversations in the future, and I would love to speak with potential study abroad students. I shared my letter with my mom before leaving for Barcelona, and shared the Reincorporation letter I wrote on the plane home with my mom upon return. The quote I chose was, “To travel is to discover that everyone is wrong about other countries” by Aldous Huxley. I shared this quote because it relates to stereotyping, something people, including members of my family, do far too often. The theory of stereotyping always mind boggled me. Yet, I learned while studying abroad that it is childish to attempt to put labels on an entire country, however certain characteristics can be shared by the majority of a country or region. Love for football being a very blatant characteristic of almost every country in Europe. My mom was not expecting another letter, but promised that we would talk deeper about my experience, particularly with members of my well-traveled extended family. One aspect of Spanish culture, and virtually everywhere I traveled, is the emphasis and time spent eating. I used to judge waiting service almost solely based on speed, but now being back in the US, this is no longer a factor when deciding how much to tip a waiter. Spending between one and two hours eating can allow individuals to discuss personal problems, recent successes, the world at large, or any number of meaningful topics. In the US, everyone has their phone on the table and is waiting for food while talking. Conversely, from my abroad experience, everyone is talking while waiting for their food. Everyone is seemingly “too busy”, some by working 9-7 jobs or others by needing to watch Keeping up with the Kardashians. Three days after returning home, I started my summer internship with the Hartford Insurance Group in Hartford, CT. I was grateful to have a three day orientation before actually beginning assignments. I had a long drive the first day when nerves built and a bit of a 21 year old mid-life crisis occurred. I started an internship in corporate America, fulfilling the only stereotype that foreigners collectively share about Americans: We live to work, rather than work to live. I never saw myself working a 9-5 growing up as both parents often resented their professions. After studying abroad and seeing how slow, and enjoyable, life can be, I was a bit rattled when starting my job. I try to be as honest as I can with everyone around me, so in the middle of my second week when discussing goals, I voiced how I want to create a meaningful and fulfilling career. I am lucky to say I am graced with an assignment manager that has talked me through this conflict at great length already. She said, “Colin, I never want you to stop saying what do I want to be when I grow up.” I really appreciated this and upon reflection, I think it would be enormously beneficial to follow my manager’s words. I will never settle into a job unless it is something I am enjoying that is meaningful for me and others. Travel Log 15: “There’s No Place Like Home? Rites of Reincorporation” Connor LaChapelle. Boston, MA. There is a psychology concept widely accepted by social scientists called ‘linear thinking.’ The idea is that humans naturally think in a linear manner, meaning that if we take ten steps, we are only going to be tens paces away from where we started. This is also how the average person thinks, and it represents one of the greatest barriers to our transcendence as intellectual beings. Studying abroad has taught me how to think ‘exponentially,’ that is how to be global in how I interpret the world around me. Although this undoubtedly gives me an advantage as I prepare to begin the next chapter of my life, it also has created friction with many of the people who I have known or continue to meet. I feel this most intensely when I meet people here in the States who show no interest in traveling outside of America because they believe there is nothing else worth seeing, or its simply not worth the energy. Another example is depicted by the lack of emphasis in our youth language learning programs. The general census essentially infers: why learn another language when we already know the ‘best’ one? There is no greater detriment to any society than ethnocentric behavior. It is this arrogance that has posed the greatest challenge to my reincorporation. Sharing my reincorporation letter with my family gave me the best opportunity that I’ve had to summarize my time abroad and, more importantly, what I’ve learned. I believe the greatest advantage this letter has given me was discussing how my family could help me by working to understand that I am not the same person I was when I left. My principles are the same, but I am now less convicted to them because the context in which I now know exists has forced me to question and revise them. With this being said, I told them one specific way they can assist my reincorporation is by asking me questions about. I feel as though this will catalyze me to introspect and will therefore help me find a better fit into society. I further pointed out that maybe even asking simple question like ‘what was it like taking a train everywhere?’ or ‘what was it like not understanding anyone?’ may be beneficial in my long-term incorporation. Who knows, maybe it will change the way they think as well. I believe the key to becoming ‘world wise’ lies, not necessarily in the travels, but rather practicing how to be sentient like a traveler. With great effort, I believe one can think globally depending on how well they listen. 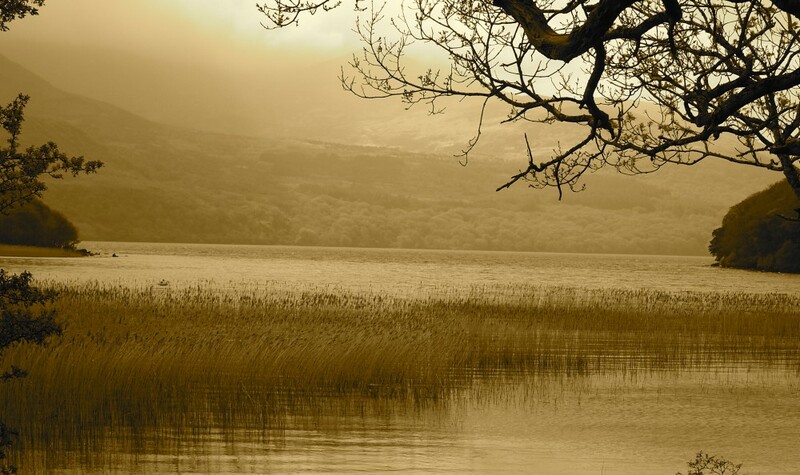 Slimbach wrote, “to change a deep-rooted habit, you must take steps to divert the stream—that is, to consciously form a new habit. By making a conscious change in behavior, you begin to dig a new channel in your psyche.” (Slimbach, 226) Habits are powerful indicators of our character, and I believe that way other’s perceive us relies heavily on our habits. I think the effects of studying abroad are going to reveal themselves in the new habits I have accrued. As I have listened to my peer through the years, I had come recognize that I live in a deeper state of introspection than most. Some call it maturity, other label it self-consciousness, and to be honest I have no idea. What I do know is that it will now work in my favor because I will be that much more aware of when I begin to fall back into my routine of old. I am going to carry forward my experiences by journaling about my memories and the gridlock between my old, current, and future identities. 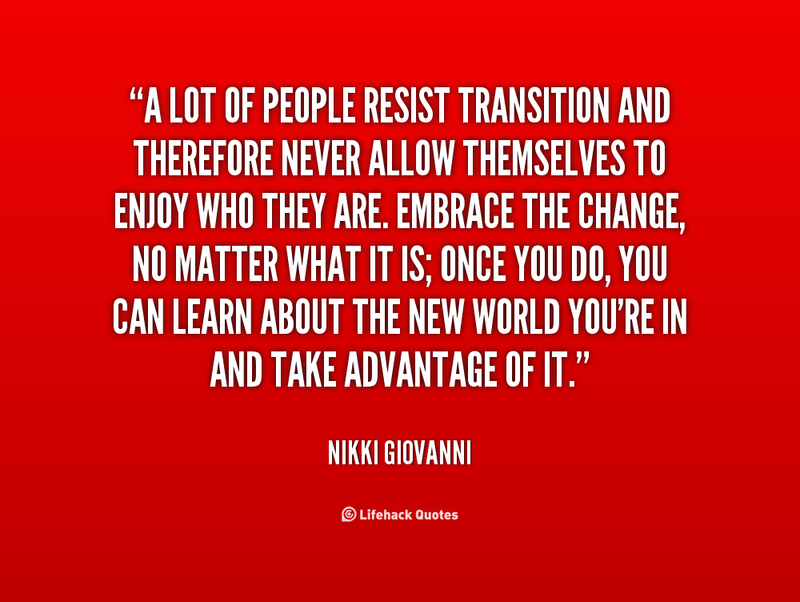 Nikki Giovanni once said: “A lot of people resist transition and therefore never allow themselves to enjoy who they are. Embrace the change, no matter what it is; once you do, you can learn about the new world you’re in and take advantage of it.” The quote reflects I am today, because it is just now that I realize my world changes every day. Studying abroad also taught that I am agile to keep up with. Reincorporation in the Rites of Passage theory involves incorporating oneself back into their home community after studying abroad. Based on our workshops reincorporation has different results for every student. For example some students may not recognize personal growth but will appreciate their overall experience. Others may feel more independent and travel savvy but their community does not recognize these qualities. Some students don’t separate successfully from their host country and become critical of their home community in an unhealthy way. The one I relate to the most is when students feel isolated on their return due to difficulties sharing their experience. It is extremely hard to describe a three-month adventure in a couple of sentences. When I sat down with one of my best friends and talked to her about all of the things I did, it felt like I was talking to a wall. She seemed pre-occupied or had no idea what I was talking about even after I explained some of my experiences. It was really hard to get my point across on how I saw this amazing sunset in Greece or how I had tea at this little shop outside of London. She would say how she wasn’t surprised I went abroad and that this experience was for “smart people”. She doesn’t go to college therefore she doesn’t have access to opportunities such as this. It made me feel bad because I felt like I was putting her down or downplaying her life at home and I could sense her jealousy. It was just an awkward and uncomfortable experience all together. Slimbach states, “ Having struggled to overcome so many “dragons”, both within and without, you now look at yourself and your natal culture differently” (205). I feel like I don’t fit in my home community any more. I hear what my friends have been up to since I’ve left and I can’t really connect with them. I see some of the stuff they are worried about as small-minded. It kind of makes me sad because I was so excited to see them and not being able to relate to them or get into the conversation has really downplayed all of that excitement. As for my family, they have been hovering quite a lot lately. It wasn’t until this letter that I told them they had to give me some space and let me figure things out on my own. I was always a very independent person but it was to a specific point where I would need their help. I think now I’ve learned to really do a lot of things on my own and they are still used to me calling on them for help in the last minute. As a result they often do things for me instead of just waiting to see if I’ll do it on my own. I chose to share my reincorporation letter with my mom and dad, just as I had shared with them my separation letter. I read my letter to them one evening after dinner in the living room. In my letter I spoke about how I have changed and that it may seem hard to see at first. I discussed why I’ve been hiding out in my room so much and why I seem so down at times. I explained how I would make myself more visible in order to have a healthy reincorporation. I asked them to give me some space and allow me to do some things on my own so that they can see how I have changed. My mom seemed relived to get an explanation for my behavior and my dad was supportive of my needs. They both don’t see how I’ve changed, which is a little discouraging but I can get past this if they can uphold what I need them to do to help me reincorporate to my home community. Some of my closest friends have seen a positive difference in me and that has been extremely encouraging and has pushed me to continue making strides in reshaping myself. The quote I chose to share with my parents in my letter was “Though no one can go back and make a brand new start, anyone can start from now and make and make a brand new ending” by Carl Bard. I explained to my parents that I’m not trying to start over because there are some things that have happened in the past that have shaped me positively. I am trying to change the path that I am on and my attitude on how to navigate through life to be more optimistic. They seemed to understand and said that if I ever need help to do this they would always be there for me. I plan to carry my experience forward by discerning vocation. I didn’t understand this plan at first but when I broke it down into simpler terms it meant that I should recognize or distinguish a particular path for myself. Before I left, I felt like I was at a crossroads. I had just changed my major, I didn’t have a summer internship, and with senior year getting closer I had no idea what I wanted to do once I finished. It scared me that I had no direction and no path to follow. This experience has taught me to take everything on and enjoy the small things in life just as much as the big important events that may occur. By focusing on this I have found peace with the fact that a lot of the important decisions I have to make in the future are not solidified. For a long time I’ve been to afraid to go for what I really want because I’m afraid of it being a mistake and wasting time. I think now I have the courage to voice what I really want for myself and just go for it even if it seems scary. The main habit I want to change is my temper. I get easily frustrated with things or people and one can immediately see my irritation through my actions. This habit has occurred over time because I often get over looked or not taken seriously by others. I use it as a way to state my presence so I can voice my opinion, which as a result is not constructive. 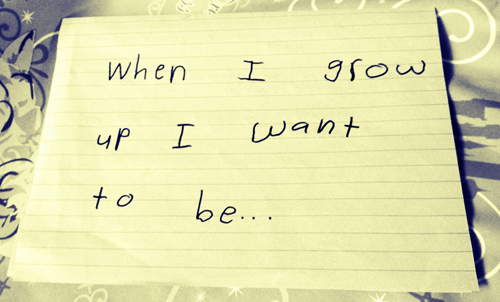 Keeping this habit will not allow me to grow and truly change into the person I believe I can be. By keeping this habit I’m wasting all of the experiences I’ve had and reverting back to my old ways. Travel Log 15: “There’s No Place Like Home? Rites of Reincorporation” by Tory Parker. Holden, Massachusetts. Arrivederci, Roma! I am back in the good old USA. I am so happy so see my family and friends but am missing Italy and all the experiences that I had during my time abroad. This first week home, as amazing and comforting as it was, did present some challenges. Jet lag is the most obvious, of course! More importantly, it has been a challenge for me not to compare things from home to those in Italy. The ways of life differ so much, it is hard not to find and form an opinion on these differences. It is important for me, however, to accept and appreciate those differences and focus more on the changes that I have gone through as an individual and less on the changes in my environment. I shared my Reincorporation Letter with my parents, just as I shared my Separation Letter. The most important aspect of this exercise was explaining the idea of a healthy reincorporation and what they could do to help. I told them that as much as I may seem to be the same girl who hopped on a plane four months ago, the more we discuss my experience, the more they will see the changes that I have gone through. After I shared my letter, I think all of us felt more comfortable and more able to talk about my study abroad experience in a meaningful way. The quote I chose to share with them that helped to convey the opportunities a healthy reincorporation will allow me was, “The postsojourn process should help us to integrate the experiences and insights from the field into our ongoing academic and personal lives” (Slimbach). I feel like this quote from Slimbach helped to explain that I will be using my experiences in all aspects of my life and not just leaving them in Italy. I feel as though my home community has not yet acknowledged my growth, but I did not expect them to the moment I stepped out of the airport. I have not seen my extended family members yet, but I expect that as I reunite with them and share my stories, they will see that I have grown as an individual through my study abroad experience. One of the ideas that Slimbach suggested that stood out to me was number six, reduce junk food consumption. I noticed throughout my time in Italy that there was not much processed food. While there were junk food items such as gelato and cannolis, they were made with fresher ingredients than what we can find in the United States. I found that cutting the majority of processed foods out of my diet and replacing it with fresher foods for four months made a big difference in the way I feel. I am going to try to incorporate this change into my life at home, but will definitely sneak a few handfuls of Skittles and a few Twix bars every so often. I am only human! As for other habits that I have at home that changed while I was in Italy, most of them are relatively trivial things, like time spent in the shower. As of now, I do not think I will have any challenges when it comes to habit formation. 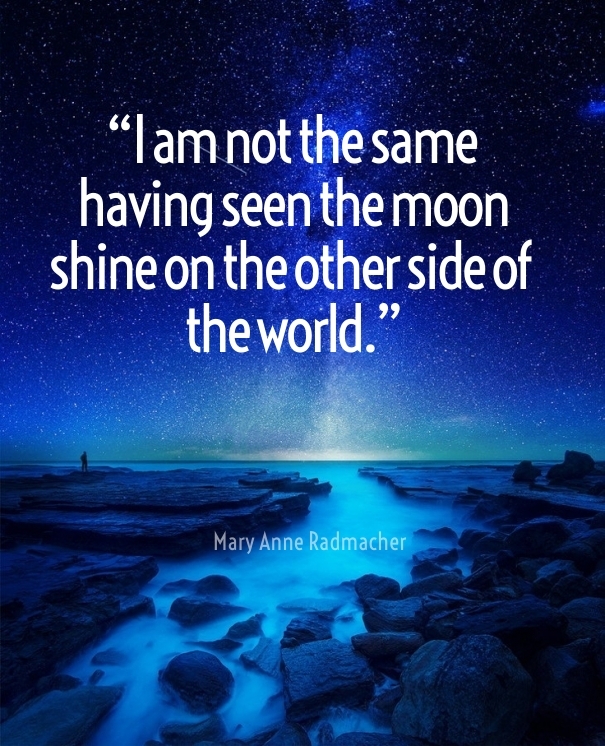 The quote I chose that expresses how I feel at this time is, “I am not the same, having seen the moon shine on the other side of the world.” – Mary Anne Radmacher. 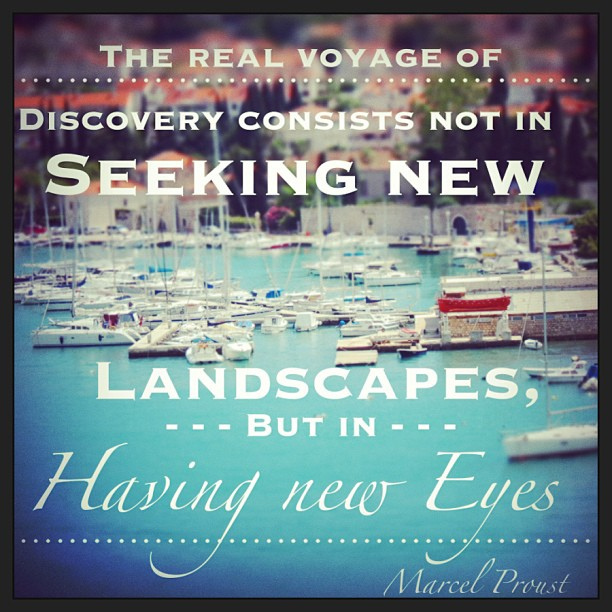 I feel as though this quote pretty much sums up my changes, growth and study abroad experience as a whole. Travel Log 15: “There’s No Place Like Home? Rites of Reincorporation” by Gabby Butcher. Clinton, CT. Although these past four months have been some of the best of my life, I can honestly say I was very excited to come home. Sure, I did not want to leave my new friends and my host mom, but I knew that I was coming home with a new outlook on America. Traveling has helped me appreciate my home country more than ever. With this outlook, I did not face many challenges while reintegrating with my home community. The only things I did have to deal with were jet lag, and changing my schedule around as I have become accustomed to eating meals later, such as dinner at 10pm instead of around 6pm. Aside from these, I did not find it difficult to integrate back home. I chose to share my Reincorporation Letter with my family. They were very supportive of the whole integration process. The quote I chose was “Travel is more than the seeing of sights; it is a change that goes on, deep and permanent, in the ideas of living” (Miriam Beard). Throughout this whole semester, I would send my family pictures of me in different cities. They would always say things like “wow you are so lucky to be doing this” etc. I don’t think they realized that while seeing these sights, I was also maturing, learning way more than I could in a classroom, and changing. Now that I am back, they have seen just how much this experienced has changed me. I’ve learned more about respect (in terms of respecting cultures) than ever before, lived and adjusted to a whole different country, and spent countless days and nights speaking a different language. I am so glad that I was now able to share with them stories from time abroad instead of just pictures, because they are now able to somewhat see what I’ve seen. One phrase that was very popular in Sevilla was “no pasa nada” which basically means ‘don’t worry about it,’ or ‘it’s not a big deal.’ Most Spaniards had an extremely laid back attitude. This is definitely something that I will carry forward, as Americans are known for being a fast-paced culture. It is nice to stop and smell the roses, and not worry so much about the little things. Another way I will carry my experience forward is by continuing to travel. I want to learn about other Latin American cultures, and the best way to do that is by traveling. Since returning home from studying abroad, my old habits have already changed. I no longer feel the need to check my phone every twenty minutes, nor do I ever use it if at meals with friends and family. Instead I enjoy the time being in their company. I will need to divert from falling back into old habits, though. I have become so independent living abroad, so I hope I am able to continue this independency while back at home this summer and then when at school. This quote by Pat Conroy perfectly describes my feelings at this time. “Once you have traveled, the voyage never ends, but is played out over and over again in the quietest chambers. The mind can never break off from the journey.” I will never be able to forget about any part of these last four months. Every day I think about specific moments that happened in certain countries. I also never want to stop traveling, and I hope that my future children have the opportunity to travel just like I did. Travel Log 15 “There’s No Place Like Home? Rites of Reincorporation” by Sarah Soucy. Manchester, New Hampshire. Reincorporation can be challenging for anyone, regardless of how much you have tried to prepare yourself throughout your time abroad. My biggest fear with trying to reincorporate back into my home life was that I would continuously compare things to Australia and continue to wish I was back living by the beach with all of the new friends that I made. While thinking about all of these things I was able to reflect back on what we discussed in class and how it is important to return home with an open mind as we need to not only respect our home culture but our friends and families who have been anxiously waiting our return. I have found since being home, that most things have not changed around me but I, myself have changed. It can be a weird feeling coming back into your old life as a new person. From being abroad I have found that I became more independent and more open to trying new things, even if it is something as little as a new type of food. Coming back to America I have found that unlike Australia, I need to now push myself to find new things since I have lived here my entire life. It is a familiar place, unlike a country I have never gone to before and it is up to me to now seek out these new adventures since they will not be waiting for me on my doorstep. I would not consider myself in the liminal stage as I do feel that I have a place back at home. Maybe the first day or two when I was readjusting I could have considered it the liminal stage as I was trying to get used to the time change and jet lag but at this point I feel that I have found a way to reincorporate myself back at home. I start my new job soon, I have already begun helping out around the house again and I have started to settle into a routine like I had before I left which helps with the reincorporation process. I decided to share my reincorporation letter with my mom and my dad because they were the people I shared my departure letter with. I felt that it would be appropriate for a complete transition if I shared the conclusion of my journey with them as well. I used this letter to help show my parents how my four months abroad help me grow up and develop as an individual and I used it as a way to thank them for all of their help and support while I was abroad. Without my parents my journey would not have been as enjoyable as it was. The quote I chose to share with my family was, “The greatest gift of travel was not in the places visited and the people met; it was in the transformed person he had become as a result of both” (Slimbach 210). I liked this quote because I was excited to tell them all of the places I traveled but all of these places had an impact on me as well as living on my own and this is what I brought home with me. I do not think I am a completely different person, I believe that my morals and beliefs are the same but I like to believe I am a more determined and independent person since being abroad and I know my parents are proud of this. Since studying abroad was so amazing I do not want to forget about my experiences, and since I have a terrible memory there are a few things I want to do to ensure I can hold on to these thoughts forever. I was able to keep a journal while abroad of all of my travels that I will have forever and be able to look back on and reflect on all of my journeys. I also plan to use the skills of interacting with people from all over the world and the drive I have to travel in my professional life to be able to travel, meet new people and to help others. One of the habits I hope to get rid of now that I am home and reincorporating is, eating lots of junk food. In Australia I tried to eat a lot healthier and work out more and by doing this I felt a lot healthier. I plan to continue doing this now that I am home in order to help myself stay healthy and have a successful reincorporation. I also want to stray away from having a negative attitude towards new ideas and be open to different people and to try new things. One quote that makes me think about the ABC’s is, “Our challenges, as integrative returnees, is to think and act in ways that enrich and enlighten both others and ourselves” (Slimbach 220). I liked this quote because it encourages us to use all of the elements of the ABC’s throughout or reincorporation process. We must remember to think about all of our experiences and the impact they can have on us and those around us. These thoughts also create feelings within us that can make reincorporation challenging for some if they have negative emotions about coming home. What I have learned it to just think about something before I act on it because many people around me sacrificed a lot for me to study abroad and I will always be thankful for that. Travel Log 15: “There’s No Place Like Home?” Rites of Reincorporation. by Nisa Villareal. Johnston, Rhode Island. Returning home was easy, but leaving Italy was hard. From the cab ride to the airport, to the tarmac and even during takeoff, I sobbed uncontrollably with my friends. When I sat down with my mom and my family to discuss returning home, it was hard for her to understand why I wasn’t thrilled to be back. I had to explain to her that it wasn’t that I was sad to be home, it was that I was sad to leave Florence. The quote I used to explain this to her was, “You will never be completely at home again. Because part of your heart will always be elsewhere. 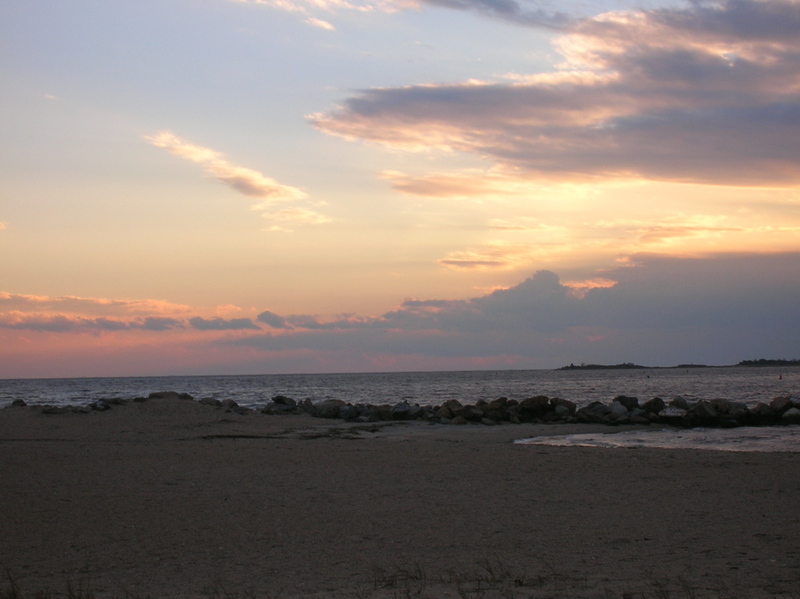 That is the price you pay for the richness of loving and knowing people in more than one place.” I wanted her to understand how much I fell in love with the world outside of Rhode Island. The richness of my experience has given me a new outlook to life. I told her that in order to healthily reincorporate I need her to give me a little space and not to smother me with redundant questions – that all of my stories will come in due time. While I think talking about it is healthy, the excessive questions will only cause me to miss it more and yearn to be back in my new second home. I don’t think that my friends and family have fully grasped my reincorporation and learning from this experience. This past week I visited Quinnipiac and everyone just assumed my time abroad was one for partying. No one really cares about the value of my experience and expect me to fully integrate back into my old lifestyle. There were several challenges that I faced as I got settled in back home. I think my biggest issue was going back to Quinnipiac only two days after being home. I didn’t give myself time to adjust in my most familiar setting, but instead acted as a visitor in the QU community. Tom Wolfe writes, “your hometown hasn’t moved, and your network of family and friends is still intact- but both feel different, almost like a foreign land,”(205). Everyone was taking finals and spending the majority of their time in the library, while I just wandered aimlessly trying to find a way to occupy myself. It was a weird feeling knowing that I have changed so much and everything I left behind remained the exact same. My mom was just too overjoyed to have me in her presence to recognize any real changes in me. I don’t think that my friends and family will be able to sense these for at least another couple weeks or so because they are expected me to effortlessly settle back into my normal life. I am definitely experiencing reverse culture shock. Asides from obvious adjustments like using American money, driving a car again, and being able to use my cell phone whenever, I was feeling left out, misunderstood and frustration at home. I felt as though everyone had moved on with his or her lives without me and I had to sprint to catch back up. I also found myself constantly saying “you don’t understand” to people when they mocked some of my habits or saw how hard it was for me to become relaxed in my old environment once again. I commonly turn to my ‘study abroad’ group chat with friends that were also in Florence and we constantly text about our shared struggles and sadness about being home. Overall, I am frustrated because I feel “more independent, more travel-savvy, etic, but these qualities are not always recognized by the community,”. In order to have a healthy reincorporation I need for my friends and family to understand how I am feeling and keep an open dialogue about it, which I explained in my letter. For me to carry my experience forward, I intend on remaining independent. I want to cook, clean and take care of myself – despite my mom’s eagerness to take care of me. I think that it will be a nice treat for my family if I cook dinner a couple nights a week and continue to upkeep the house. Another way to carry my experience forward would be to continue to travel when I get the chance. Studying abroad has given me the amazing opportunity to see a lot of Europe, but also made me realize I have not even seen the United States outside of New England. I want to take trips and see my own country. In order to carry this experience forward and to ‘divert the stream’ as Slimbach describes it, I need to remain as open-minded as I was during my semester abroad. It is so easy to fall to the peer pressures and common attitudes towards certain things, but I wish to remain open to new friends and experiences at home. I think one of the major issues in my home community is that everyone wants to stick to the status quo and no one dares to be different. The non-judging, easy-going attitude in Europe caused me to fall in love with it and become a better version of myself. Like the quote I have chosen to explain my feelings, I hope to remain open-minded towards all new experiences after reincorporating into my home community.